Duration : from 4 to 5 days tour. 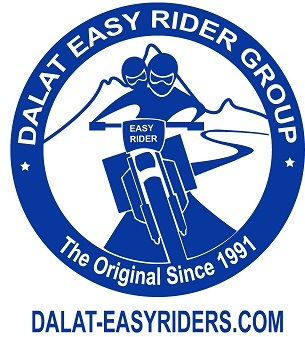 Route: Dalat – Lak Lake – Gia Nghia town – Dong Xoai town – Saigon. Standard Hotels(clean and facility rooms). Knowledgeable and experienced tour guide. Saddle bags & raincoats, if needed. Local coffee or Sugar can juice. - Visit the Dragon pagoda. - Visit the flower farms. - Tea & coffee plantations. - Enjoy Vietnamese coffee with “weasel café”. - Trekking through the jungle. - We drive through the forest path without many traffic and tourists. Where you visit the most beautiful countryside sceneries and even join in the local people’s life-style. - Take photos of people farming and fishing. - Trekking to the top of the Elephant rock mountain. - Take the Ho Chi Minh Trail to visit Dray Sap, Dray Nu falls. - Swim in Fairy pool, take a water massage from waterfall. We make a short trek through the jungle followed by a swim and dip in a natural spa in Gialong falls. - Overnight in a cozy guesthouse at Dakmil. A border town. - Pepper plantation. Try enjoying the tropical fruits. - Visit war monument. Big Pagoda in Dong Xoai town. - Stop over at frontier area as close as to the possible to the Cambodian border on the real war remmants of the HCM trail. - On our way to flatter lands. - Curry plantation. Visit rubber tree plantation. - We visit the famous Cu Chi tunnels. We’ll spend few hours to discover an immense network of connecting underground tunnels stretching for over 200kms and the locaton of several military capaigns. These tunnels played a vital part in the war. Continue riding to Saigon ( a busy city) and finish a great 5 day trip at 4p.m or 5 p.m.